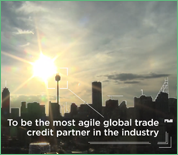 Coface has been a world leader in credit insurance for nearly 70 years. Coface is able to combine global expertise from its worldwide network and has the capacity to be a local partner to companies for their sustained growth. Coface boasts of branches and subsidiaries in 100 countries bringing it close to its clients needing credit management tools at every stage of their business life cycle. The Group’s 4,100 employees secure the sales made by our 50,000 client companies in over 200 countries. Coface with its credit insurance solutions is able to provide your business with protection against loss from bad customer debts. That affords you greater peace of mind to focus on your company’s success. 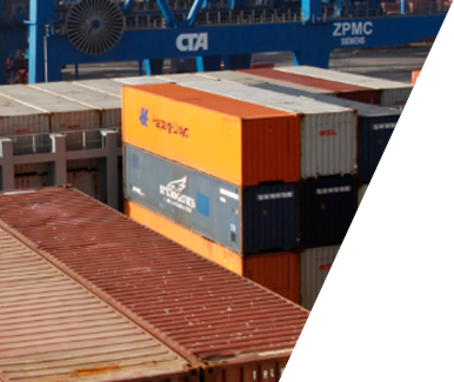 Whether you are doing business domestically or internationally, trade credit insurance from Coface helps minimize your commercial risks. We continually monitor your customers and are able to alert you to changes in their risk profile. Our 660 underwriters make 10,000 credit insurance decisions every day; the answers are given within 1.5 days; we advise, support and provide cover to 50,000 companies. 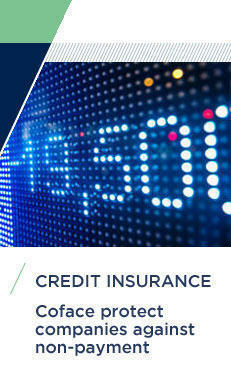 credit insurance policy covers the unpaid credit balance from sales made to your customers. Whether you choose to protect your domestic or export business, you are able to minimize the risks associated with customer’s insolvency or delayed payment. Trade credit insurance from Coface is a powerful tool that combines the information and protection you need to mitigate the risks of non-payment, and if you do have a loss on an insured account, you will be indemnified according to the terms of your policy.